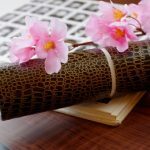 Beginners will gain required skills through this material called [Trial-16]. 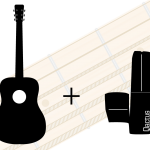 Just imitate the demonstration precisely following icons and directions. 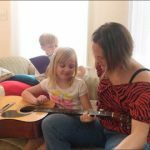 You are going to learn many things while learning how to play guitar, such as timing, length of notes, strength, sense of rhythm, pressing strings, changing chords, and so on, unconsciously. 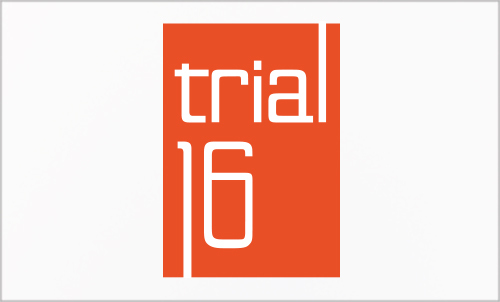 Trial-16 is like a game but it leads you to become a stable beginner, who will never give up in the early stages of challenges. 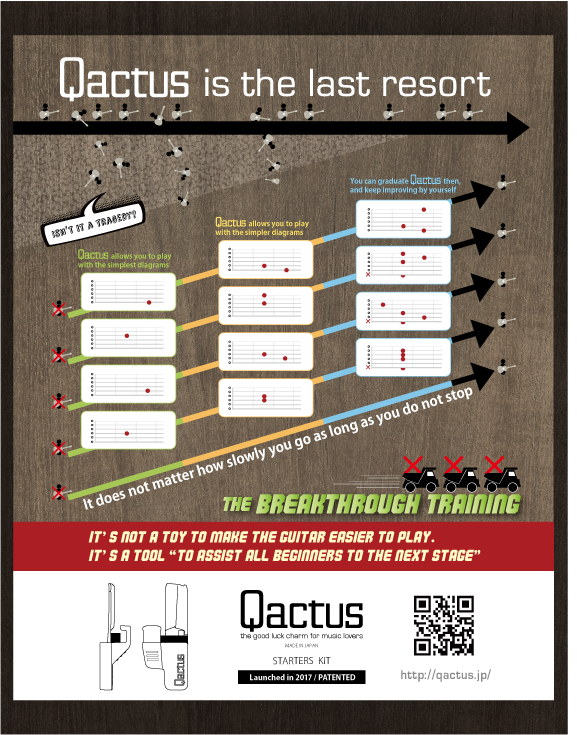 At the beginning, you will only play Trial-16 from No.1 to No.16 in order, with an easier way using Qactus. 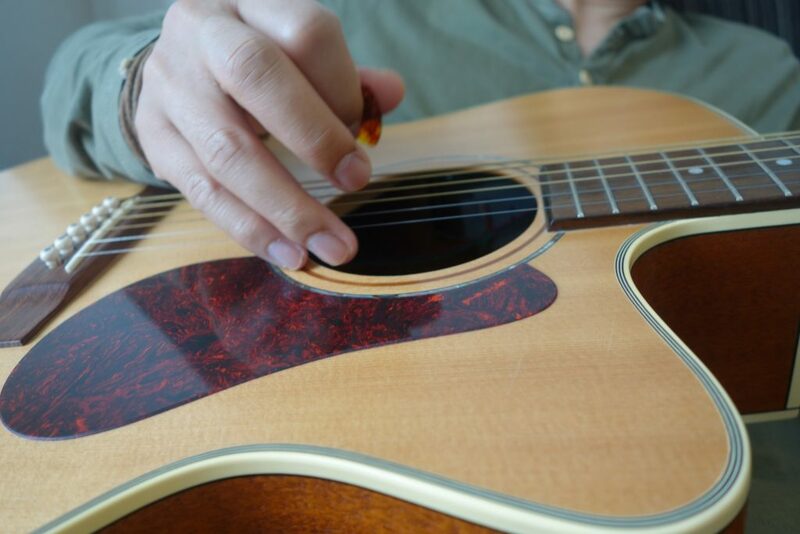 Meanwhile, you will get used to pressing strings as well, aside from strumming skills. 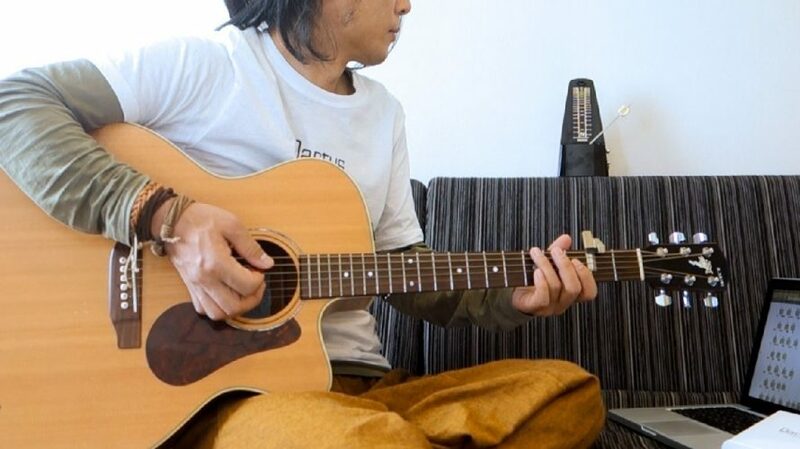 Then go back to [Trial-16 No.1] with [1upStage] from this time on. 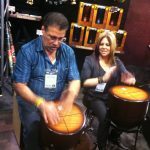 It will let you achieve, even if you are the person without any previous experience on any musical instruments. 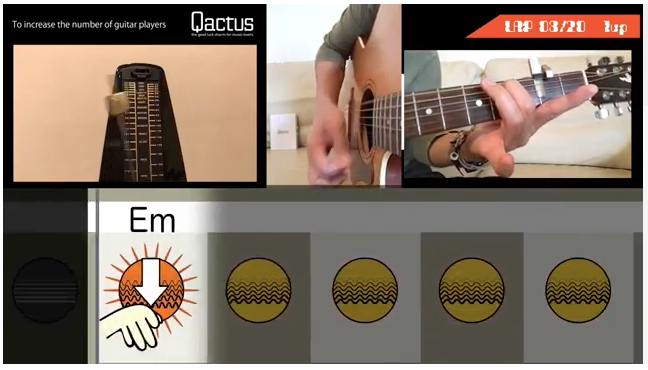 Trial-16 + 1upStage + Qactus is one of the best ways to begin playing guitar. 2. 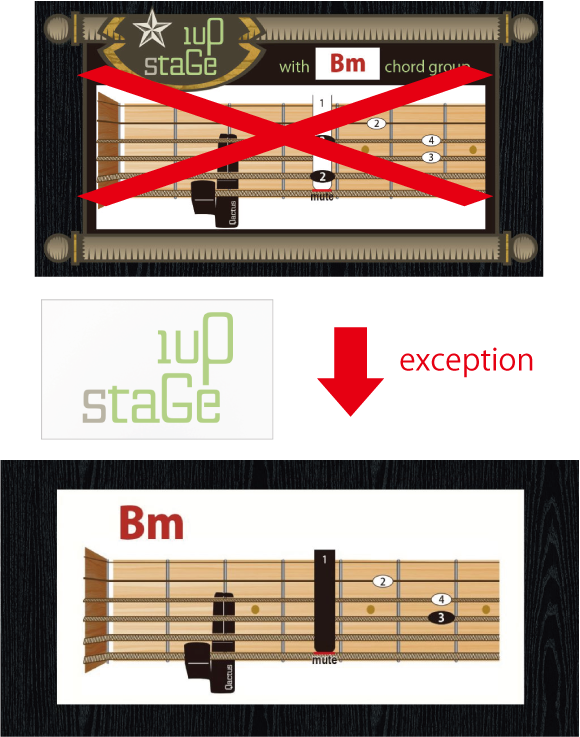 How to use 1upStage? 4. How to use Trial-16? 5. 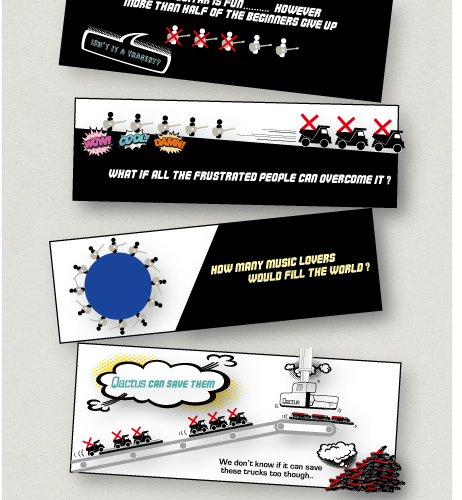 What skill will you gain through Trial-16 + 1upStage? 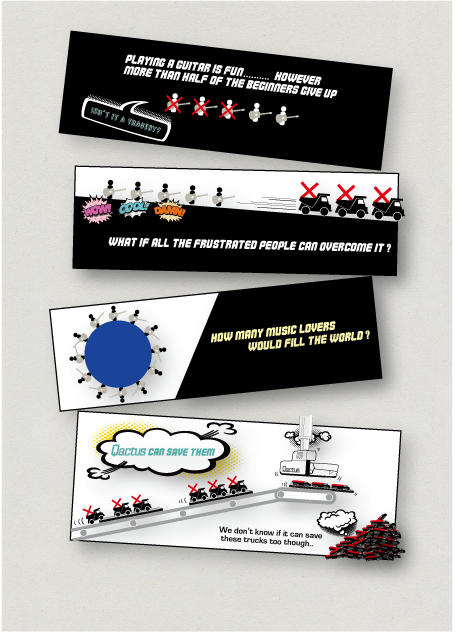 Qactus has so many functions to overcome the early stages of challenges. 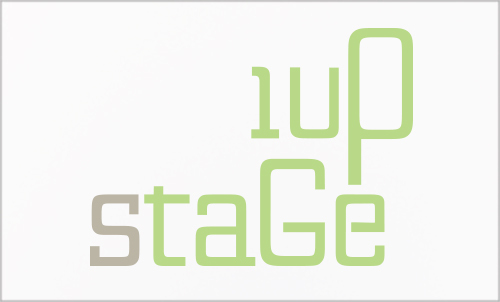 [1upStage] is definitely one of them. 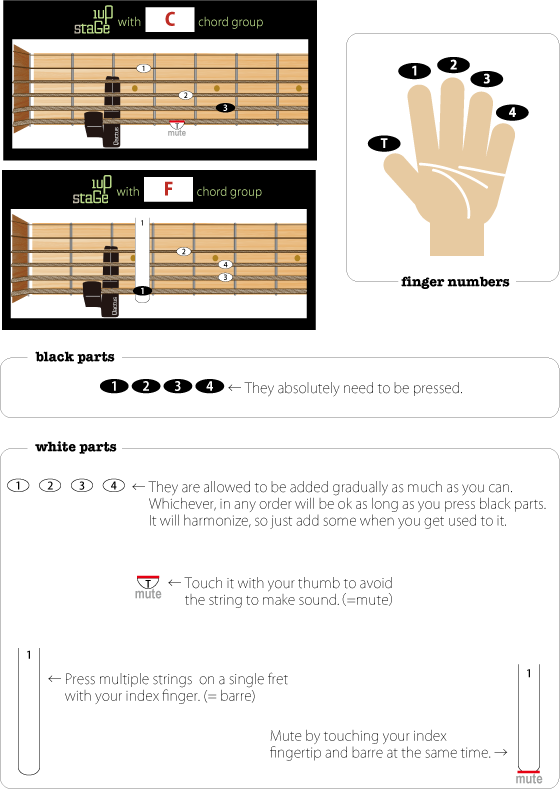 At the beginning, press a string following only black parts(black dots and black bars) of each chord diagram and finger numbers. 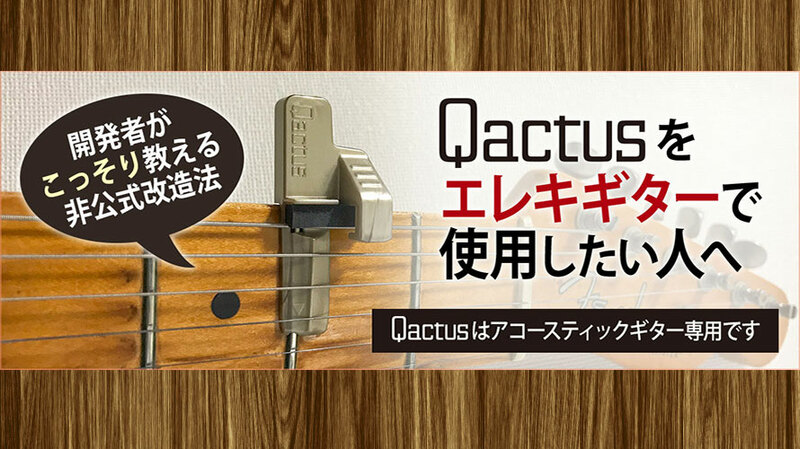 This allows you to make work, because you don’t need to press whole chords using Qactus. 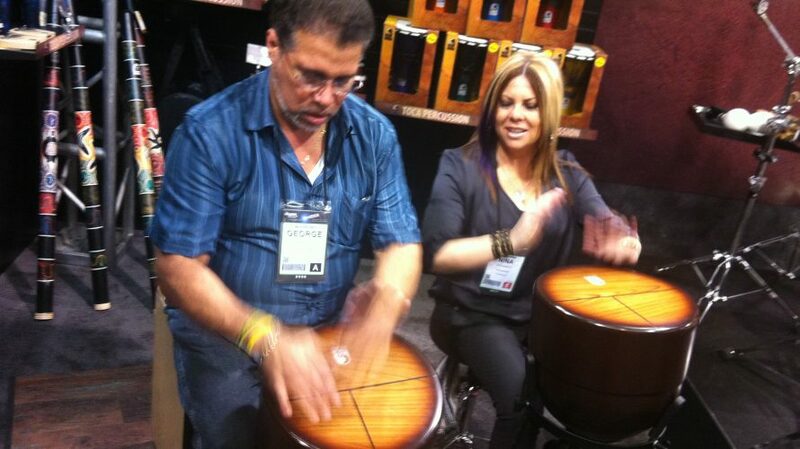 Basically it is designed with only one finger on each chord as you can see. 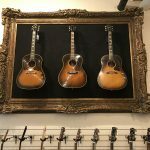 So you will be able to focus on strumming rather than troublesome pressing chords at the beginning. 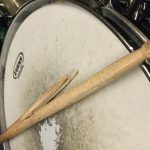 However you will get used to it soon because it is not so hard to make this technique work, even if you are a person without any previous experience on any musical instruments. 1upStage allows you to add white parts(white dots and white bars) on each chord diagram little by little. 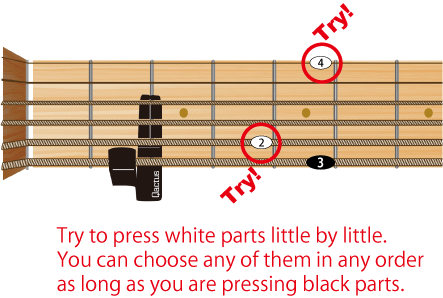 You can choose any white parts on each chord diagram in any order, as long as you are pressing black parts. 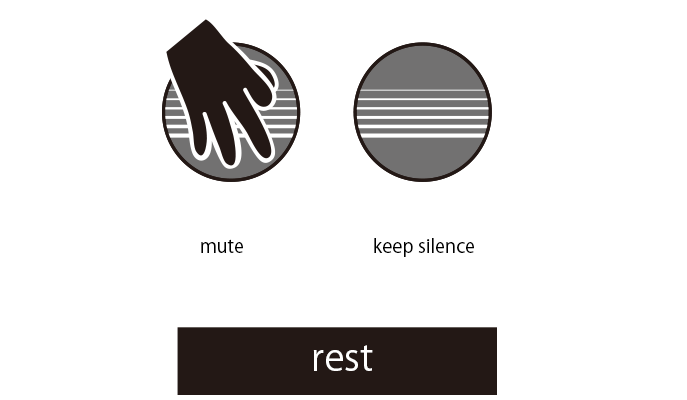 It will be the time to graduate from using Qactus when you press all parts(black parts + white parts) on each chord diagram. 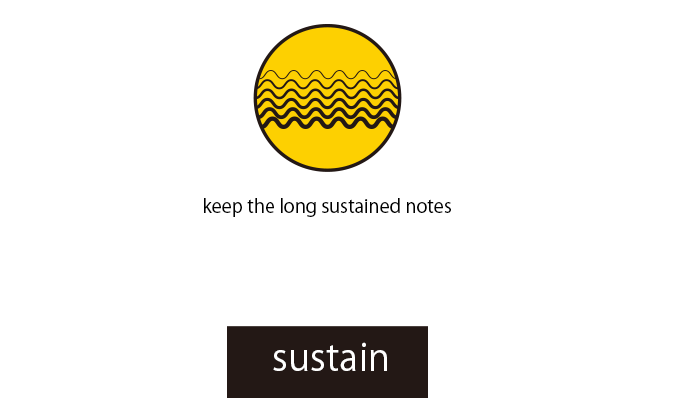 ※There is an exception to this rule. It is only Bm on Trial-16. 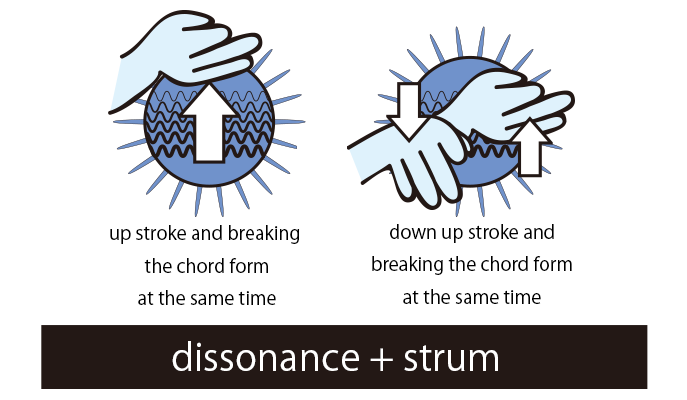 Just change the diagram below when you try Bm on 1upStage. 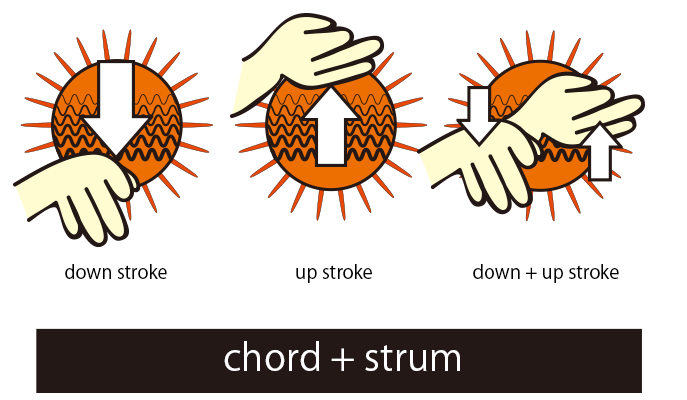 Pressing chords is not only the way to play guitar as you already know. You are going to gain required skills in the early stages through [Trial-16] to avoid giving up. take a look at the first page(=Trial-16 No.1) and practice this pattern as only four bars. 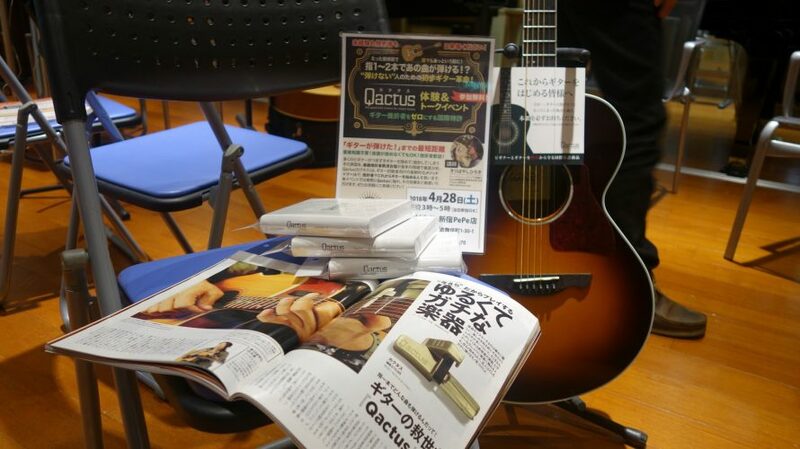 continue practicing without Qactus because you want to improve! 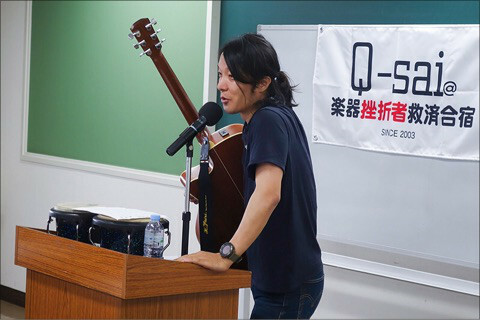 ・The sound of the demonstration is not necessarily the same as yours, but you don’t need to think it’s wrong because it harmonizes enough for practice. What skill will you gain through Trial-16 + 1upStage? 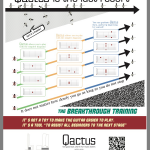 You will have those skills without knowing it through Trial-16 and 1upStage on Qactus. Actually it is not just for beginners in the early stages. 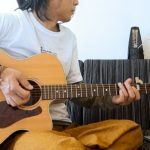 You can check your basic skills with Trial-16 if you have never been taught how to play guitar by someone. 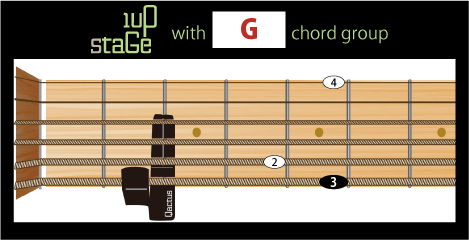 Then you have to press general chords properly whenever without Qactus. 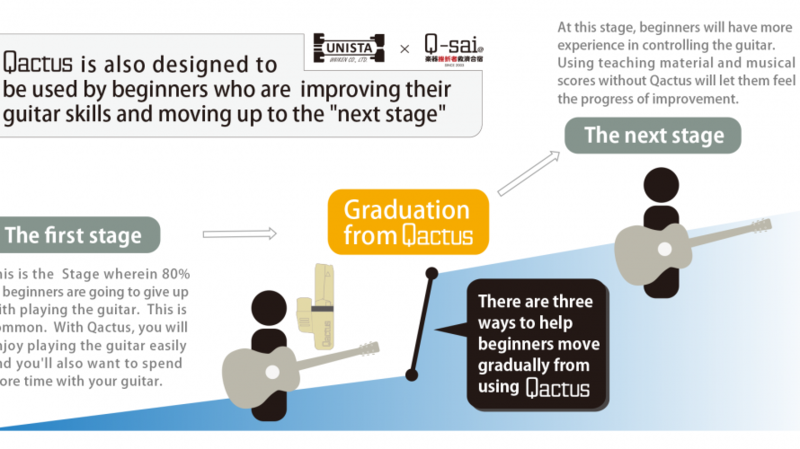 However you can go back to the first step with Qactus, if it is still hard for you. Qactus will be always on your side. 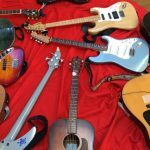 We hope that beginners all over the world will enjoy music.